On second thought, though, maybe I do. If any of the people reading this blog are cruel or mean-spirited, they can go jump in the lake. Those who refuse to open their eyes and be grateful for the blessings that grace their lives can go jump in the lake. Those who want to bring us all down to wallow in the mire of despair and hopelessness: jump away. To the rest of you, the majority who are here because you have faith, or tenacity, or courage, or good will, or all of the above: I do sincerely hope you like what I write, even if O’Connor thinks it’s no concern of mine. And if someone tries to sabotage your determination to defeat despair, well…you know what to tell them. Tagged: be kind, be thankful, cheer up, don't be a grouch, gloom, negativity, snap out of it, wake up! I’m not familiar with that one; I’ll have to look it up! It cannot be at the gesture of others for the writer to respond. It is all the writer’s inspiration and intuitiveness to come out of paragraph.. Thank you! It’s nice to see you here again; hope you have been doing well! Yes Julia, I very much like what you write and love how you’re able to use words and captioned photos to give us inspiration for our daily walk. I wandered into your blog from a link you gave on the Upper Room and now read all your entries. God has richly blessed you with the gifts of writing and ministry, and the daily thoughts you share are always deeply meaningful to me. You have an uncommon wisdom and I’m thankful for the insights, encouragement and fresh points of view that you give. You’re a blessing in my life! Wow, Judy, that makes me very happy! 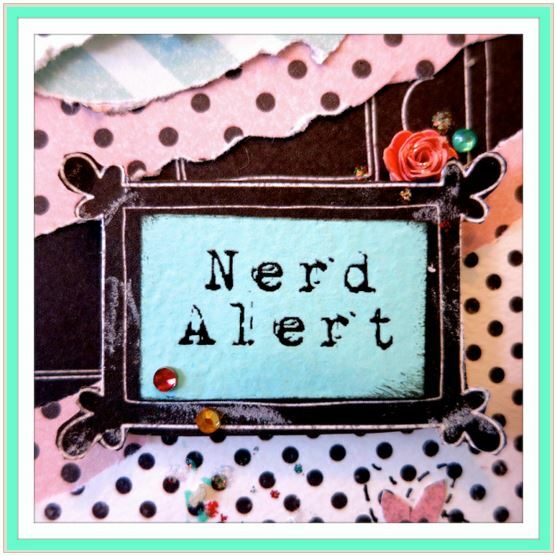 I am so grateful that you are reading and liking the blog. And I really appreciate your kind words – it makes my day! Thanks for being here. Still in NYC. One week to go. My son had me watch this documentary called “ICE ” about how all the glaciers are melting and the sea level will rise- so much in so many yea rs. It is by Blalog ? The photography was worth seeing on its own merit. But Very depressing. But I still believe in the power of the earth as God’s creation to heal itself. As our bodies have powers of self healing it is my hope the earth as God’s body also has powers to heal. There is a lot of ecological doom and gloom out there. But we still have lots of nice gardens around and if we can extend the growing season in Alaska-that might be nice. Mike, I agree with you about the earth; I believe it is largely self-correcting, despite our assaults on it. I worry much more about the people and animals here; we, and they, are much more transitory in our presence here. That doesn’t mean I don’t conserve power, recycle almost everything (compulsively so, in fact) and feel a keen sense of responsibility not to be wasteful of any resources. Ultimately, though, I have faith that we have “a new heaven and a new earth” to look forward to whenever our time, or the earth’s, runs out. But I think it quite likely that my time will run out long before the earth’s does. And yes, a longer growing season in Alaska would be nice! It might even convince me to join the many people we have known who dream of retiring there! I’m not too fond of extreme weather, cold or hot. Thanks for being here! Yes Julia, I enjoy reading what you have written. You have a way with words, wish that I could put words down like you do. Keep it up! Glad to hear that Jeff is able to work, that will help staying busy. I know about chemo and your appetite, I still have trouble with mine. Things just don’t taste the same. Give Jeff a hug for me and to hang in there. Looking forward to the reunion we will have. Love to all. Thanks Carolyn! Jeff eats a lot of ice cream lately, since that seems to be one of a few things he hasn’t lost a taste for. I hope you will eventually be able to enjoy food as much as you did before. Thanks for being here! Carolyn, your doctor and I think alike! But I know how much Jeff loves ice cream and I tell him he needs to feed his soul and spirit as well – so yes, I am glad he is enjoying it so much. Target had Edy’s on sale this week and I bought 4 cartons for him! 🙂 I told Jeff just to cut back on sugar in other ways and enjoy that ice cream (I surely do so that’s something I understand well!) Thanks for dropping by tonight – when we get together for our 5-year celebration we will be sure to have lots of ice cream there! Love to you and Terry. Well now, I recognize that view! Isn’t it stunning? If that’s the worst thing one would say to a distractor of joy, then they’re getting off easy. There’s a controversy in Alberta right this minute about a developer wanting to build a 60 room hotel on Maligne Lake near Jasper. Environmentalist (and me) are not for this. There are plenty of accommodations in Jasper. I think the National Parks should be kept as natural as possible. One corporation shouldn’t get rich on the backs of all Canadians by exploiting the natural beauty we should all be able to enjoy for a small gate fee. They’d be chopping down habitat for parking lots and new roads and water/power/sewer…..I hope it doesn’t happen and I’d like to tell them to go jump in the lake!!! How appropriate a response in this case! I haven’t seen Maligne Lake (or Jasper, as far as I can remember) but I do think that parks are less appealing once they get too crowded. That was how I felt about Yosemite during the busy season. It just doesn’t have the same appeal when there are tour buses full of people everywhere and crowds that feel more like Disneyland. A friend of mine has been active for years with community groups fighting, mostly unsuccessfully, to keep developers from building casinos along the Mississippi Gulf coast. There are some charming little towns down there that just won’t be the same if it turns into some Vegas-style moneymaking machine. Here in Virginia our attorney general is a big crusader against what he calls “eminent domain abuse” (the idea that governments can allow commercial entities to take over privately held lands, so they can get more tax money) and it’s something I never thought much about until reading about the ongoing efforts here to curb such takeovers. It’s becoming a hot topic here, and probably in many other places as well. Enjoyed this and the comments very much. Thanks, Daddy. I have fond memories of canoeing on that lake with you and Eric. Judy in Pennsylvania gets a cheer from me! She stated it very well regarding your blog. It has such uplifting qualities. 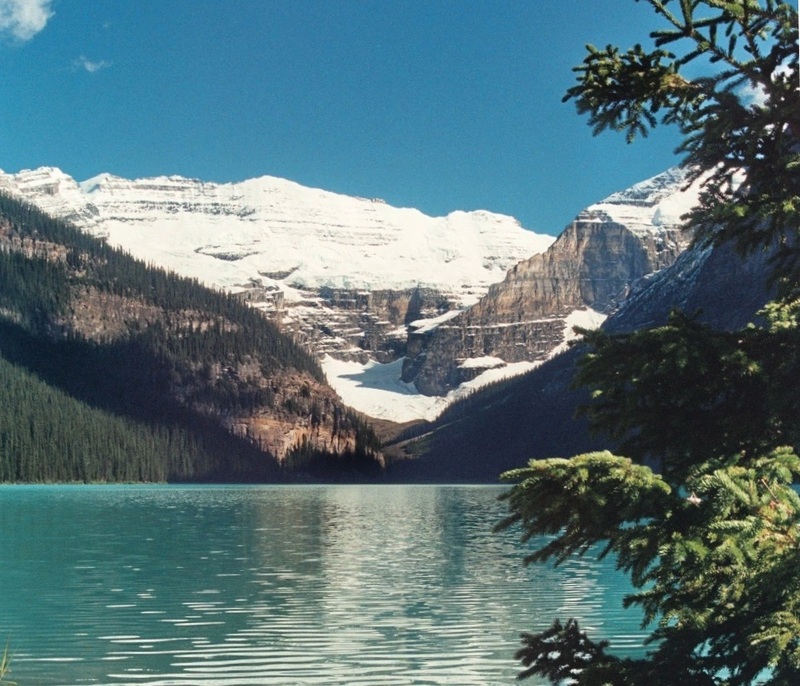 Julia: please “keep the presses rolling”…heehee…The Lake Louise photo is breathtaking! Thank you, Mary Ann. I hope Jeff and I can get back up to that part of the continent soon. We have never seen Montana or Idaho, and we also would like to go to Yellowstone. That’s one of the first places Jeff mentioned wanting to see someday, after he learned of his diagnosis. My dream had been Montana as long as I can remember. The 1st motorcycle ride Paul & I took, he asked where I would like to go. Montana was my delighted response. We have been there many times on the motorcycle. The Grand Tetons are magnificent! While driving along the road to Yellowstone, you are right on state lines, so you keep changing states every few miles. Very fun journey: my favorite part of our country includes Colorado, Montana, Wyoming… scenery, fresh air, open spaces, and cowboys! What a blessing! P.S. you always have a place to stay in CA w/ us!!! Thank you 🙂 and I will remember! Sheila, I LOVE “Hit the Road, Jack” – thanks for reminding me of that; it brought a big grin to my face! (I also love Aretha’s “R-E-S-P-E-C-T” and “Chain of Fools” – and the Stones’ “Get Offa My Cloud” — all those “attitude” songs are great to listen to when I’m feeling frustrated or angry!) I’m so happy you enjoy the blog, and you are supportive in a BIG way; you have already helped me so much. It’s easy to feel isolated when these difficulties and trials drag on for months on end; we are so grateful for the folks who keep the prayers going and the encouragement coming. Thanks for being here! Wonderful reflection. This could almost serve as an “About Defeat Despair” page. Great work. Always moved by your messages…wonderful way to start the day Julia! Thanks, for the smile it begins with! Blessings!